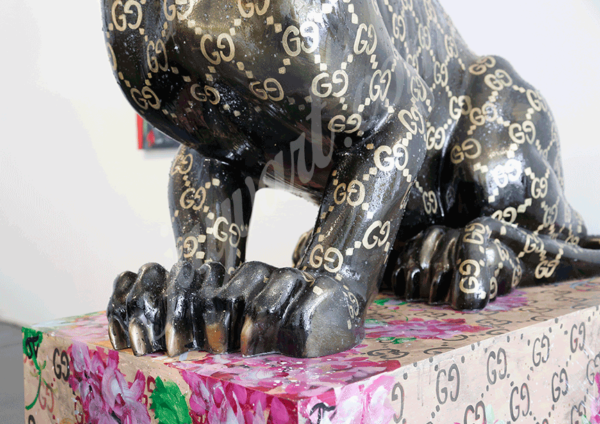 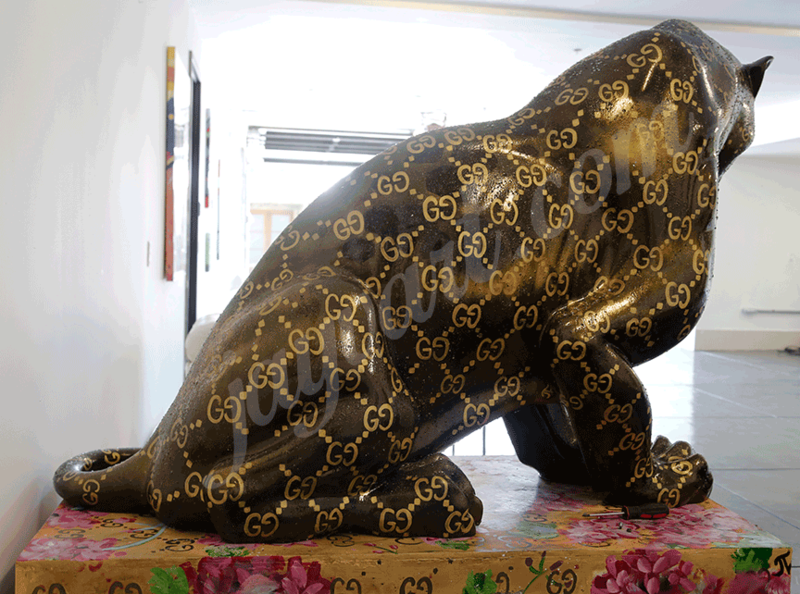 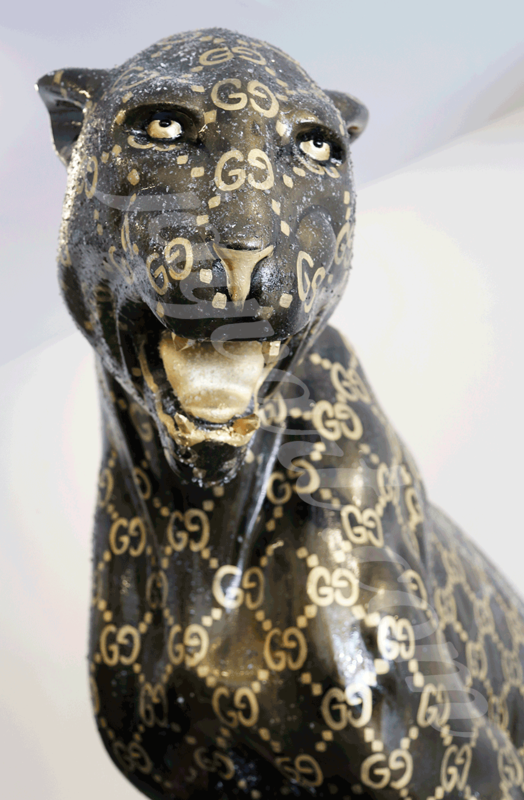 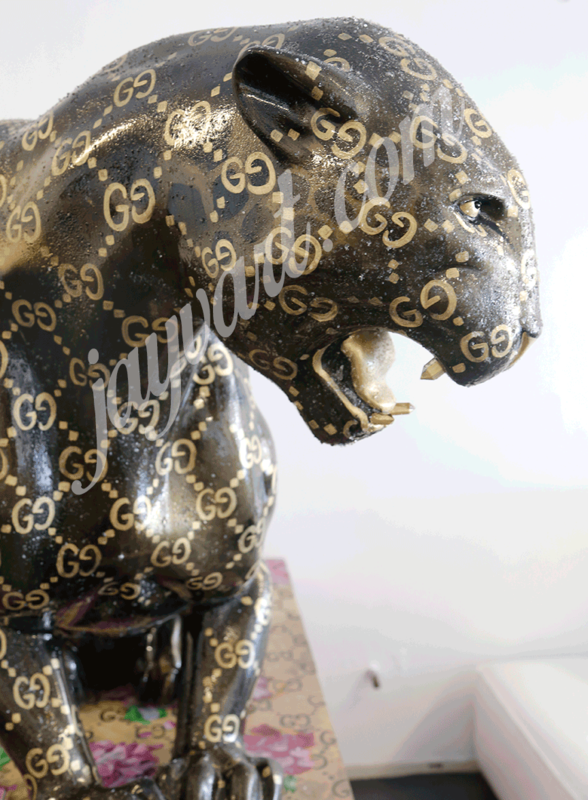 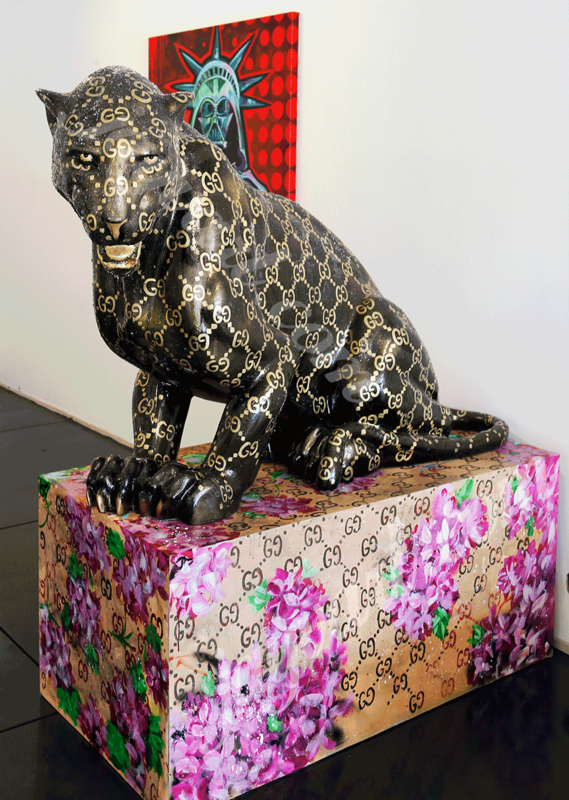 Hand painted Gucci Jaguar with crushed quartz crystals sprinkled all over its body! 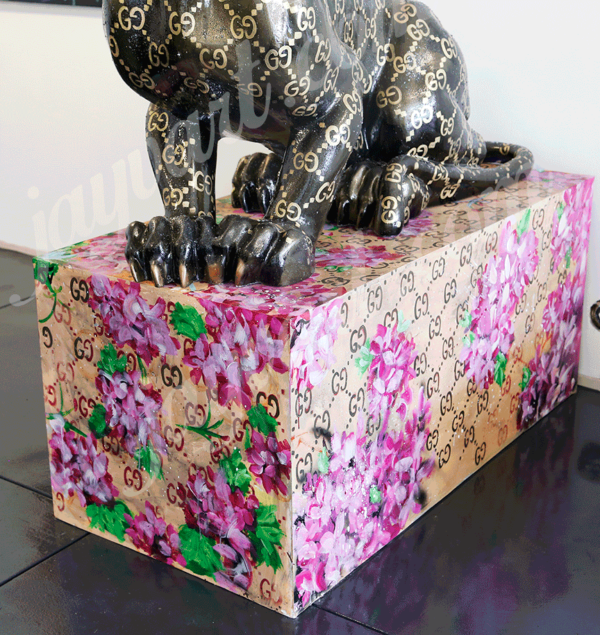 The teeth are also made of quartz crystals! 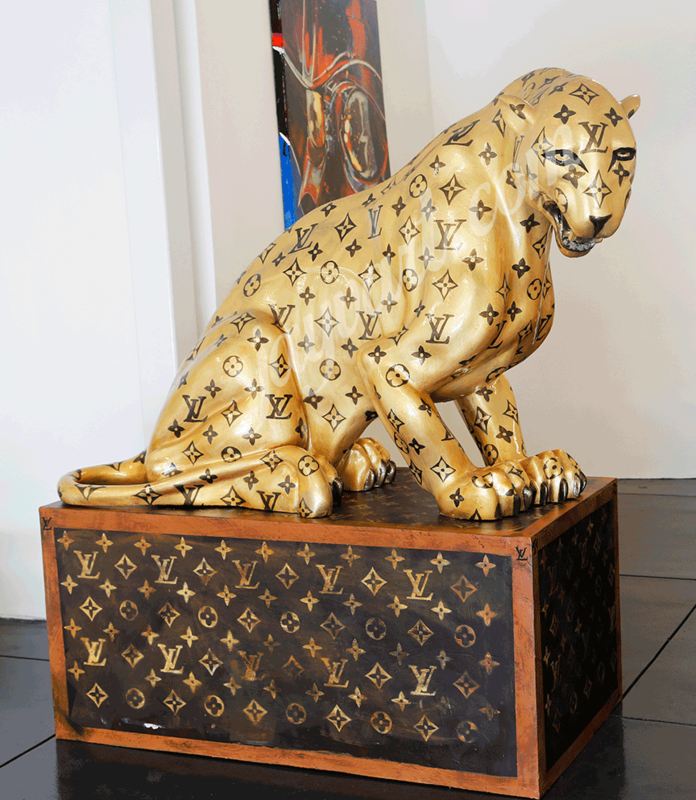 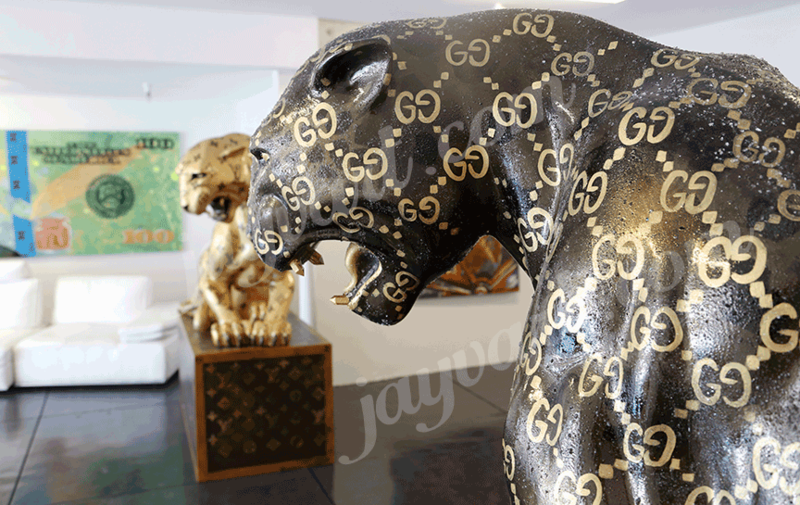 The Jag stands on a custom wood Gucci pedestal!